Silent Sky Project#34 July 11th 2009, 6.30 – 7.00 pm, 38 participants, Athens, Greece. 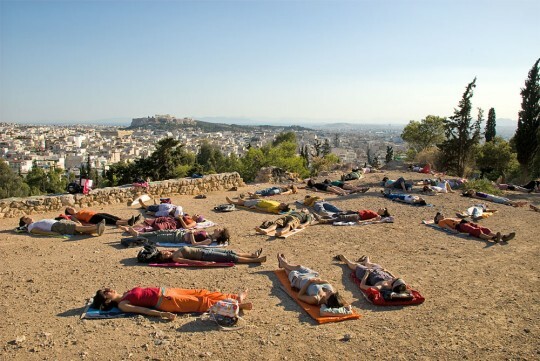 In Athens people from greece and immigrants were invited to look at the sky together, in silence, for 30 minutes. 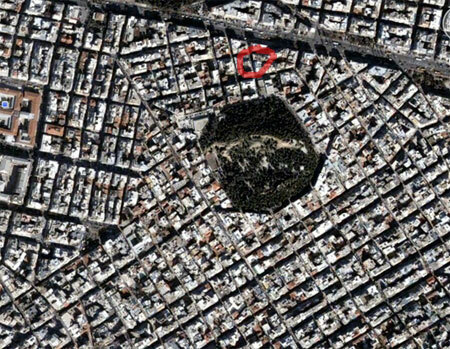 The location for the action is Strefi Hill, one of the few open places in Athens center and only used by athenians. On the horizon you can see the Acropolis. 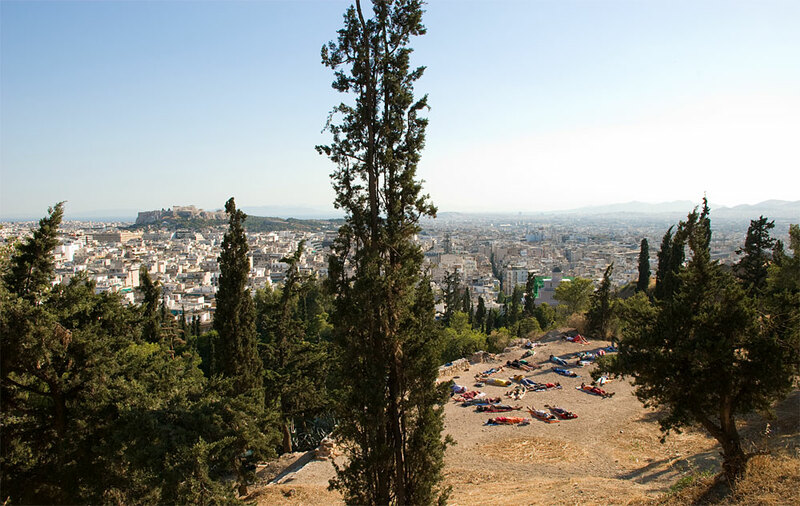 Thanks to: Kinitiras Studio (kinitiras.com), where I was artist in residence, ngo Osmosis (osmosis-intercultural.gr) & Intersys-official representative of CANON in Greece for sponsoring. Also thanks to the productionteam: Antigone, Christina, Francesco, Vicky & Flora! Giving a lecture about the Silent Sky Project# at Kinitiras Studio. Antigone Gyra with the photo’s of the project in the Kinitiras Studio. Group-photo of the partcipants after the Silent Sky action on Strefi Hill, center Athens.